After a year of struggling and beating my head against the wall, I decided that maybe there was something to this whole selling thing. But man! I’m not the aggressive type and I’m anything but pushy. And I so don’t want to have to become that person in order to succeed. You know the one I mean. We’ve all seen those old-style sales pages filled with yellow highlights and screaming red “WARNING!! TIME IS RUNNING OUT!! BUY NOW! BUY RIGHT NOW! !” buttons. Talk about a turn off. That is the method that makes me want to bury my head in the sand and just hope clients come and find me some other way. And truth be told, when we think of copywriting, that’s often the vision comes to mind. YUCK!! But I knew I had to find ways to get out there so clients COULD find me. What I discovered as I scratched deeper was that while that style of sales page can be effective, it’s not the only way to make sales. WHEW!! Big relief here. In fact, by taking a more subtle approach, you might generate more interest—and potentially more sales. Hmmm….. Subtlety – I can do that. 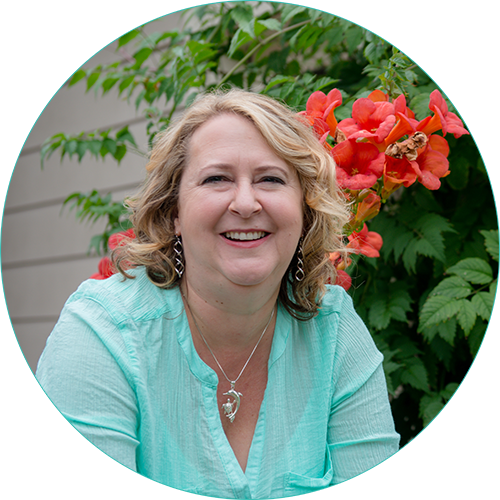 Here are a few ways I learned I could stimulate interest and connect with more of my ideal peeps without selling my soul. 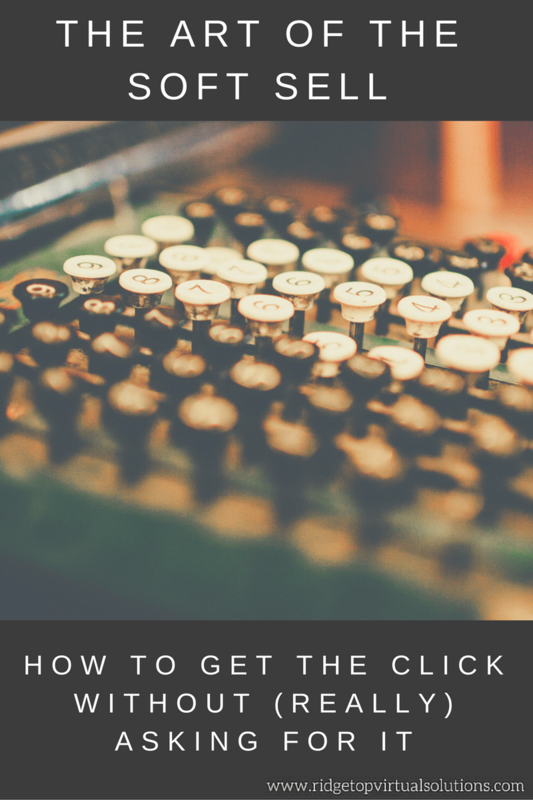 One effective way to entice your peeps to click through to your sales page is with stories. Everyone LOVES a good story. They can be your stories or those of other people, it may even be a fictional character. The goal is to help your readers to see themselves in the same situation. Did you help a client turn her chaotic household into a calm oasis with better organizational skills? Whoohoo!! Go YOU!!! Her story on your sales page will get more clicks than all the yellow highlights and screaming red text you can buy. How about that time you trashed your entire business plan and started over because you discovered you simply weren’t passionate about what you were doing? Yup! I know a few peeps that can relate to that one. Your potential business coaching clients will be anxious to learn how the story turned out, and will click through without you even asking. Want to build a reputation as the go-to person in your niche? All it takes is to help people. Natural stuff for all you coaches and VA’s out there since our mission is to help people, right? Now I’m not telling you to give away all your time. That’s just silly! But if you really want to show off your expertise, you really can’t do better than a little volunteer work. Not only will you make an impression with the person you help. But chances are good she’ll share with her friends who will share with their friends, and so on, and so on. Get my drift? Of course this doesn’t mean that there is no place in your business for a strong call to action. “Click here to buy” and “Learn more right now” are still useful (and even necessary) on sales and opt-in pages. Sometimes you just have to do it. The key is to know when to be subtle, and when to offer a bit more hand holding. So what’s my point with all of this? So glad you asked. The fact is, you can promote (a.k.a. Sell) without selling your soul. Be authentic. Be truthful. Share. Be subtle. Tell stories. Find the formula that feels right and lets you share what is so amazing about you! This is so wonderful! I, too, have had a hard time “selling” myself and my services. But finding ways that feel right to me and align with my brand — as opposed to following what “everyone” says you should be doing — has been really helpful. And I agree, knowing when to be subtle vs. more bold is key! I also love what you said about telling stories and how effective that can be. I definitely want to incorporate more of that into my blog/design journal. Awesome! It takes some time but finding that right combo that fits your style makes all the difference. And I LOVE telling stories. I find myself doing that a lot in Discovery Calls as well. It really helps bring the point home that I truly do understand where my potential tribe member is at in their business and know how to help them. Oh lovely! I really enjoyed reading your post Pam. I do not like being pushy and selling hard. Pam, this is a great post, you put into words exactly how I feel, and it is so true, we all love a great story. I notice, when I connect with my ideal clients, it doesn’t feel like selling at all, it’s just an easy transition. Thanks for a great post! I could not agree more with your approach here, Pam! Being of service, in an authentic, genuine way, will get the sale in a way that makes sure we can sleep at night, too! Great post! !